Looking to purchase tyres for your SUV or 4x4? 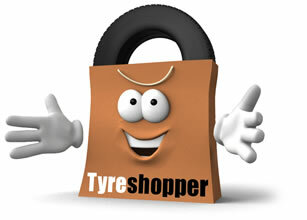 Find your perfect 4x4 or SUV tyres through Tyre Shopper! If you are looking to purchase tyres for your SUV or 4x4, then Tyre Shopper are here to make the process as simple and as easy as possible for you. SUV and 4x4 tyres need to be capable of carrying heavier loads, this is due to the increased weight of these vehicles compared to small to medium passenger vehicles. If you are looking to purchase SUV or 4x4 vehicles, Please enter your vehicle registration so we can help you find the perfect tyre for your vehicle. If you do not know your vehicle registration number, please enter your tyre size. On the search filtering, you will be able to filter by 4x4. These tyres will be tyres suitable for carrying heavier loads- please look out for the ‘XL’ symbol within the search results.